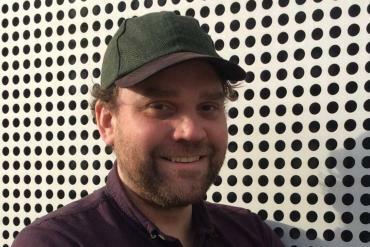 Scottish folk-rock band Frightened Rabbit reported its songwriter and frontman Scott Hutchison missing on Wednesday, and early this morning (in America) Scottish police confirmed that a body recovered in Port Edgar, near the South Queensferry neighborhood of Edinburgh, was his. The apparent suicide comes in fairly quick succession of two other famed singers who wrestled their own pain to create immeasurable beauty — Chris Cornell (Soundgarden, Temple of the Dog, Audioslave) and Chester Bennington (Linkin Park) — but whose mental illnesses consumed them. When people outside of music ask me about No Depression, they often ask if I write about mental health. If I’m trying to be quick, I just say it’s a lyric from a Carter Family song from the 1930s or a throwback to it courtesy of an Uncle Tupelo record in the ’90s. But if I’m being serious, I try to illuminate the relationship between art and mental health, especially music and mental health. According to the Anxiety and Depression Association of America, more than 40 million people in the United States suffer from anxiety disorders (including multiple forms of depression). The World Health Organization reports that more than 350 million people suffer from depression worldwide. Among creative professions, including writers, musicians, dancers, and photographers, the numbers are notably higher, according to research conducted by Sweden’s Karolinska Institute. By writing openly about these and other larger issues within the music community, No Depression does sometimes feel like an outlet concerning our mental health, and hopefully one that continues to honor its namesake in so doing. Over the course of Frightened Rabbit’s five brilliant studio records (in addition to one solo Owl John record and last month’s debut LP as part of the heavier supergroup Mastersystem), Hutchison wrote and sang openly about his depression, both as personal catharsis and as an attempt to help others. He also managed to find kernels of hope in bouts of misery that helped anyone who listened hang on for another day, another year. In fact, one of the best things about music is the sense of community this art form in particular fosters. For one, live music literally brings people together: Whether you’re sitting on a porch with family, around a fire with friends, or flying solo in a dark club in a big city, the participation in and enjoyment of music involves all kinds of human heat. Someone’s voice is always singing aloud and someone’s always playing the melody. But recorded music has a different way of creating that feeling of unity. Especially on down days, music blasted through ear buds or car speakers, wired through turntable preamps or digitally zipping across Bluetooth connections can channel a comforting voice when there’s seemingly no one else to call. Every music lover I know has a song, a record, a playlist of tunes for when they’re feeling low. I hear my own heartbreak that, nearly six years on, has yet to fully abate when I listen to 2008’s masterpiece The Midnight Organ Fight. I hear my anxieties, irrational or otherwise, on the acoustic, demo-like “Yawn” from Frightened Rabbit’s first record Sing the Greys and “Oil Slick” from their 2013 major label debut Pedestrian Verse. In so many Frightened Rabbit songs, I hear my own loneliness wrapped in a usually-muffled scream. Depression, weighted down by correlating anxieties, alcoholism, and more, is a wrath of an illness. It warps your brain, convincing you that you’re alone, unloved, and unworthy. It amplifies your most repressed fears and minimizes your strength of self. And I think that’s what makes Hutchison’s absence even more heartbreaking: This stigmatized disease still wields enough power to drain the generous light out of a person whose chosen profession is to bring people together through art that heals broken hearts and spirits. Scott, I hope there’s no depression for you in heaven. In the United States, a number of organizations are committed to suicide prevention. Please visit, call, or text The National Suicide Prevention Lifeline, the American Foundation for Suicide Prevention, Samaritans USA, or others if you are in need.